When used effectively, social media can be an engaging way to get your message out to the community. Participants will learn effective engagement tools, including how to best use infographics, videos, chats, create compelling content, and track your reach. Interest in the Black Lives Matter movement increased significantly with the recent incidents involving police use of force on civilians. The movement gained support as many universities in the United States worked to provide open discourse in an effort to shift focus on the citizens’ growing concerns. In times of social and racial unrest, counselors are critical to helping communities address and process fear. Asbestos is a natural mineral that was used throughout many homes and other types of buildings prior to the 1970s. It is not harmful when it is contained, but when disturbed asbestos can break apart, causing the release of some of the tiny fibers of which it is made. These little needle-like fibers are dangerous because they can contaminate air, water, and soil leading to inhalation and ingestion. Have you started your preparations for Teen DV Month? 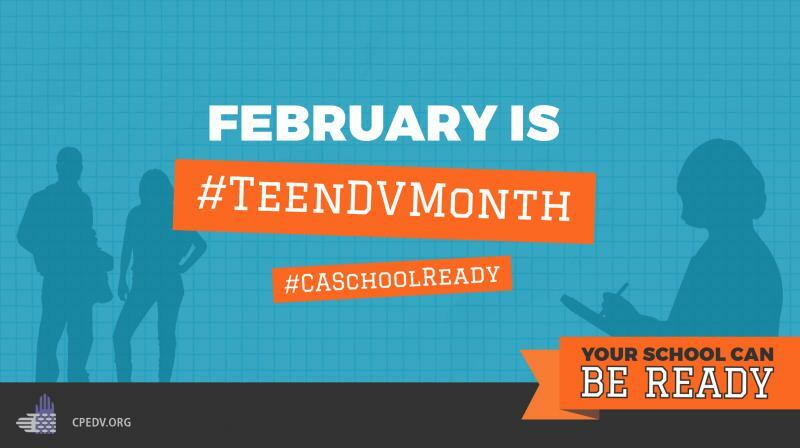 To help everyone get ready for February, the Partnership will be covering everything you need to know about 2018’s Teen DV Month Campaign. We will be discussing this year’s theme, sharing resources, and how best to utilize social media in your campaigns! An overview of how adolescent dating abuse is routinely covered in the media, along with the Partnership’s work towards changing the narrative and messaging used when talking about adolescent dating abuse. This poster was presented at the 2017 National Conference on Health and Domestic Violence. Join us for a webinar on how to be an engaging teen-friendly facilitator in a way that meets teens where they are while also being trauma-informed. Using developmental and learning theories, this webinar will discuss classroom setup, how to engage quieter students, behavior modification materials, learning models, and teaching methodology. Haven of Stanislaus County piloted a school-based, youth-led model of adolescent relationship abuse (ARA) prevention at a Modesto high school in the 2014-15 school year. The program was replicated in 2016-17 at a second school and is evolving into a Coalition for the 2017-18 school year. The Healthy And Responsible Relationships Troop Coalition (HARRT Coalition) prepares high school students to serve as advocates and peer educators both on campus and off.